The idea of fixing your health/chronic injury issues now or paying for them later is something that we at TAT believe firmly in. This can mean seeing a chiropractor or physical therapist to address a minor back ache or sore neck/shoulder or visiting with a nutritionist about dietary modifications to reduce inflammation and cholesterol levels. Regardless of your ailment or condition it's important to address these issues while they are minor aches/pains or slightly elevated cholesterol levels; otherwise they can turn it to a torn acl, herniated disc, rotator cuff strain, heart attack, stroke etc. and become MAJOR issues with MAJOR expenses. A lot of times people don't realize the value of preventative health care and have a hard time justifying these expenses upfront not being able to see the long-term benefit (myself included). Ironically, as a society we don't seem to have an issue applying this same logic and preventative strategy to other facets of our lives without hesistation. For example, most people understand and accept the importance of regular oil changes to ensure optimal engine function and prevent any serious issues down the road; or people understand the importance of annual teeth cleanings and proper dental care to prevent cavities or gingivitis; or know how important it is to invest in a retirement savings account so you have money after retirement to support life after work. Well why is it so hard to invest in our heath in the same way? Why is it so hard to go see a chiropractor with minor issues, knowing that the payout in the long run may be well worth the initial investment. For example, consistent preventative visits to a physiotherapist/chiropractor may seem expensive ($40-$100) per visit, especially if there are multiple appointments however this is a lot cheaper than paying for a knee replacement twenty years down the road when the costs of an evaluation, imaging, surgery, missed work, rehabilitation, meds etc. 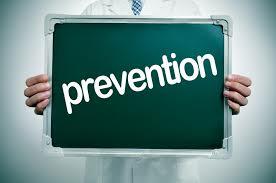 will far exceed the costs of some initial preventative appointments; even with the best health insurance. The same rationale can be applied to healthier food options. Yes, some healthier foods may be more expensive compared to a box of Raumen and Mac n Cheese, however a diet full of processed, refined carbohydrates and lacking quality protein and fat sources will likely lead to a life full of chronic diseases and possibly a major cardiovascular event. In the end this could cost far more in healthcare expenses and potentially the ultimate price, your life. So, pony up and go see a physical therapist about that lingering issue or consult a dietician about ways to eat better on a budget. Do it for the Health of it.